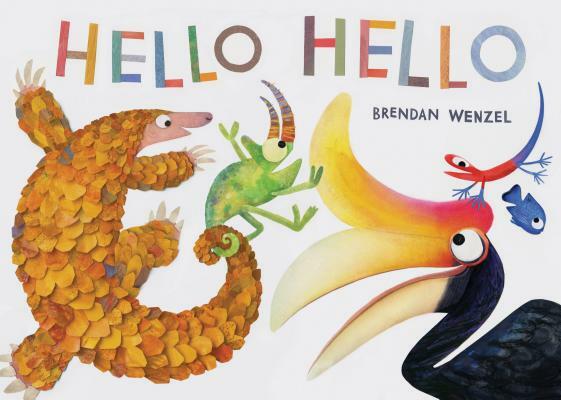 Named a Best Children's Book of the Year by The Washington Post, Amazon, Working Mother and more: A new picture book from Brendan Wenzel, the New York Times bestselling and Caldecott Honor-winning author of They All Saw a Cat! Hello, Hello! is an interactive book for kids. Beginning with two cats, one black and one white, a chain of animals appears before the reader, linked together by at least one common trait. From simple colors and shapes to more complex and abstract associations, each unexpected encounter celebrates the magnificent diversity of our world-and ultimately paints a story of connection. Brendan Wenzel's joyous, rhythmic text and exuberant art encourage readers to delight in nature's infinite differences and to look for-and marvel at-its gorgeous similarities in this children's nature book. It all starts with a simple "Hello."